In Rummana, we will meet with local families and the village council. 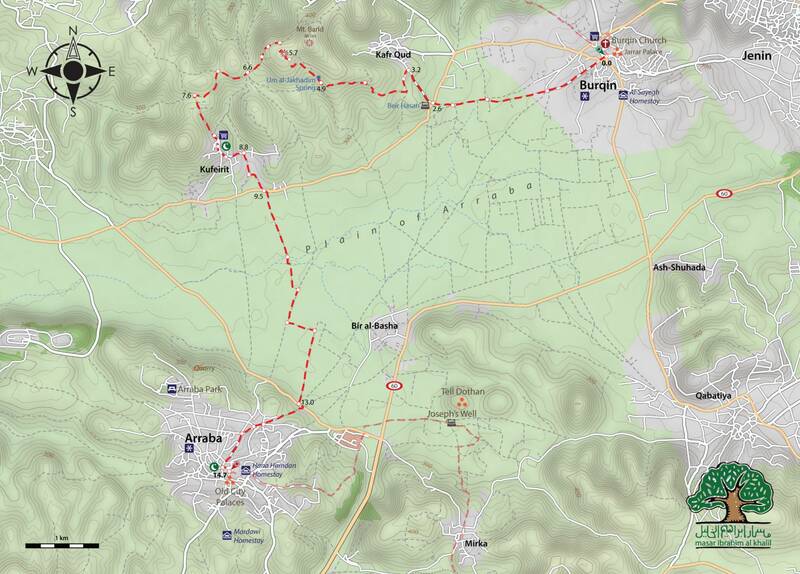 Afterwards, we will start the hike by passing through the agricultural center of Jenin, an area that is especially lively during the olive harvest season. An olive grove serves as a perfect place to rest with a cup of herbal tea brewed on a fire. 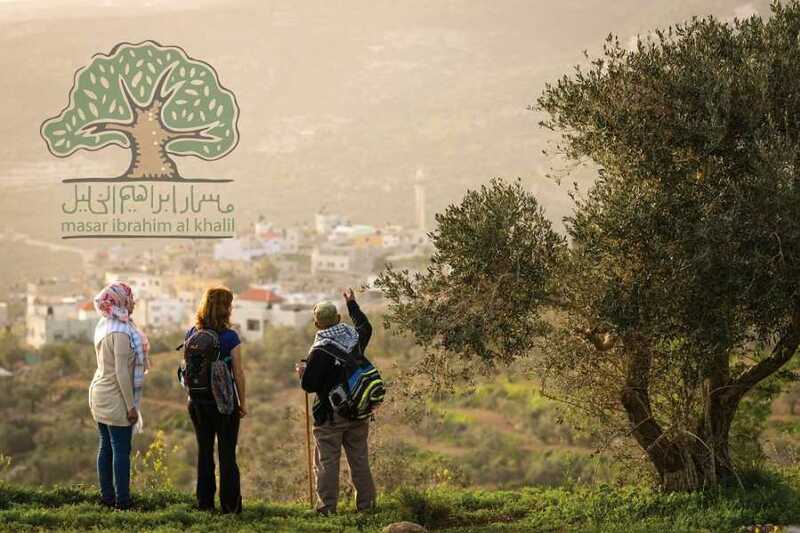 Hikers will encounter a beautiful landscape filled with the massive trunks of ancient olive trees, as well as notable landmarks like Burqin Church. The trail passes through fields filled with cabbage and tobacco, as well as through beautifully preserved old village centers, like that of Arraba, where you will be met by traditional Palestinian hospitality. Spend your weekend in the picturesque area of Jenin and enjoy the festive atmosphere of olive season. 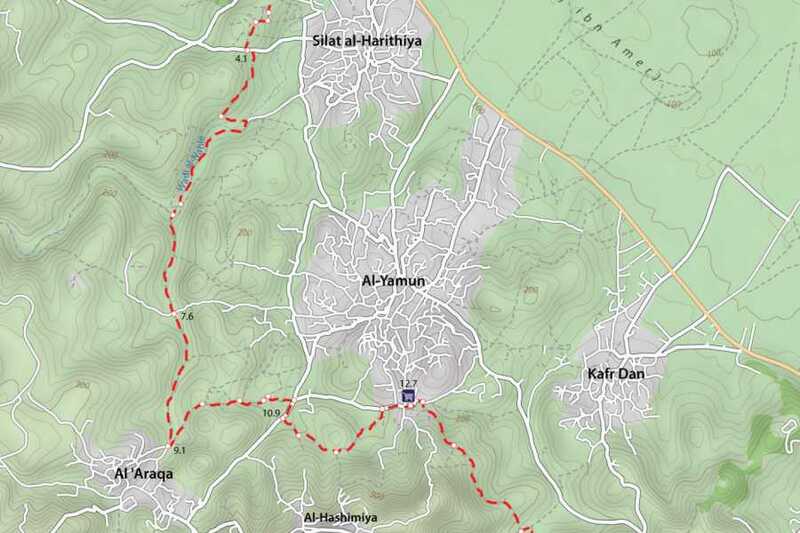 Start the hike at the village of Rummana, which in Arabic means pomegranate . 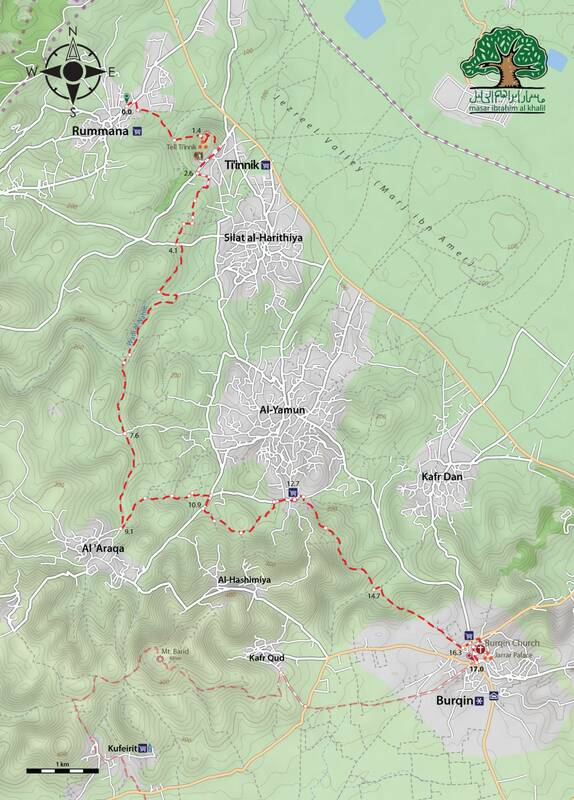 Further on, the trail will lead you through lush olive groves towards a hill overlooking the town of Ta’anek, located just next to the ancient Canaanite site of Tel Ta’anek. From there, colorful fields of Marj Ibn Amir (Jezreel Valley) are clearly seen in the background. At the end of the first day, you will reach the town of Burqin, famous for its 4th century Church of St. George, which was built to commemorate the spot where Jesus Christ stopped in his path to heal ten men who suffered from leprosy. You will stay with a local host family, where you will be welcomed in the tradition of authentic hospitality of Palestine. After a traditional breakfast at your homestay we will set off, following the path from Burqin to Arraba, a path that connects two important landmarks: the ancient Burqin Church and the Ottoman Palaces of Arraba. The trail passing through Burqin winds into the surrounding farmland, where you might be greeted by farmers plowing their fields. From there the path leads toward a high hill, Jabal Barid (the “cold mountain”), overlooking small villages and the city of Nazareth, beyond the Green Line. During the Ottoman times (1517 - 1918), Arraba was a strategically important place that served as headquarters of the Abdel Hadi family. Today, the palacial complex located in the heart of the town serves as a center for many community activities and events. Transportations to the starting point and from the finish point.